In front of the MLK Stage Fountain at 5:30 p.m. Monday, USF Week launched with its annual Kickoff. 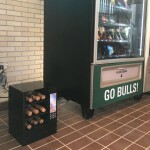 While the stage area was filled with music by the USF Heard of Thunder (HOT) band, students gathered around the surrounding tents to receive giveaways like "USF Week" T-shirts. 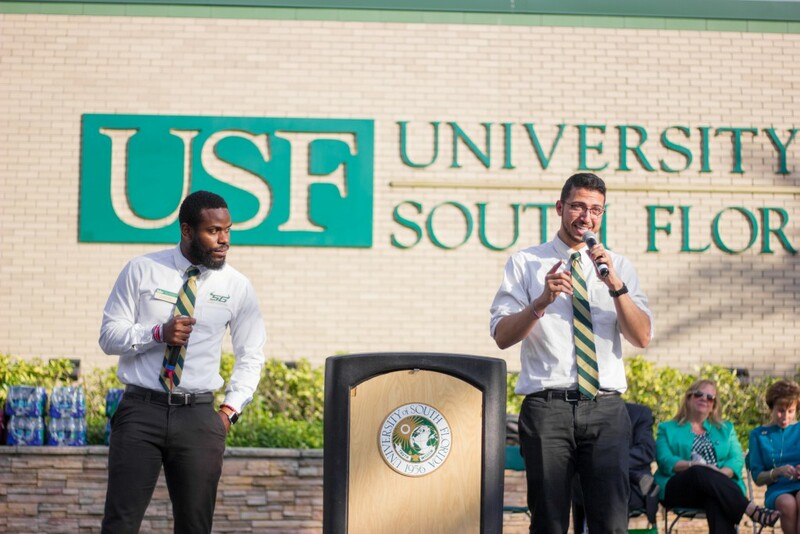 Speakers, including USF System President Judy Genshaft, Student Body President Moneer Kheireddine and Vice President Shaquille Kent, spoke about the success and tradition of the university. 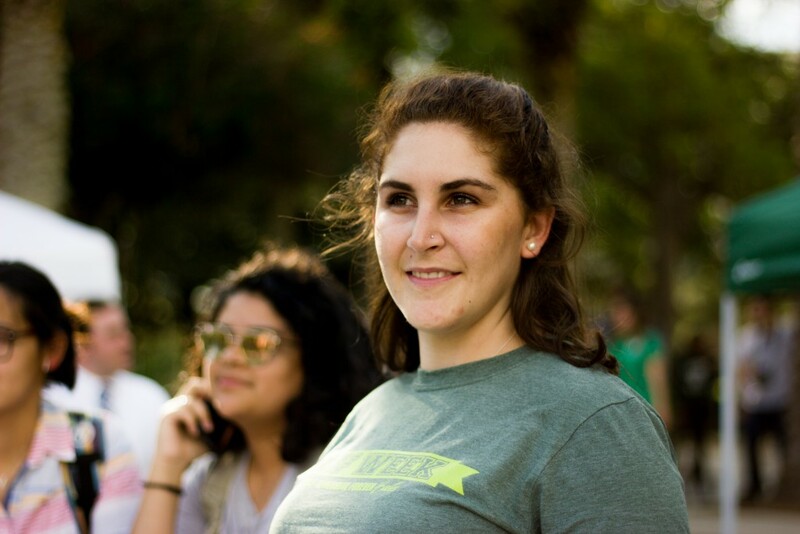 Dean of Students Danielle McDonald outlined USF Week's most popular events. 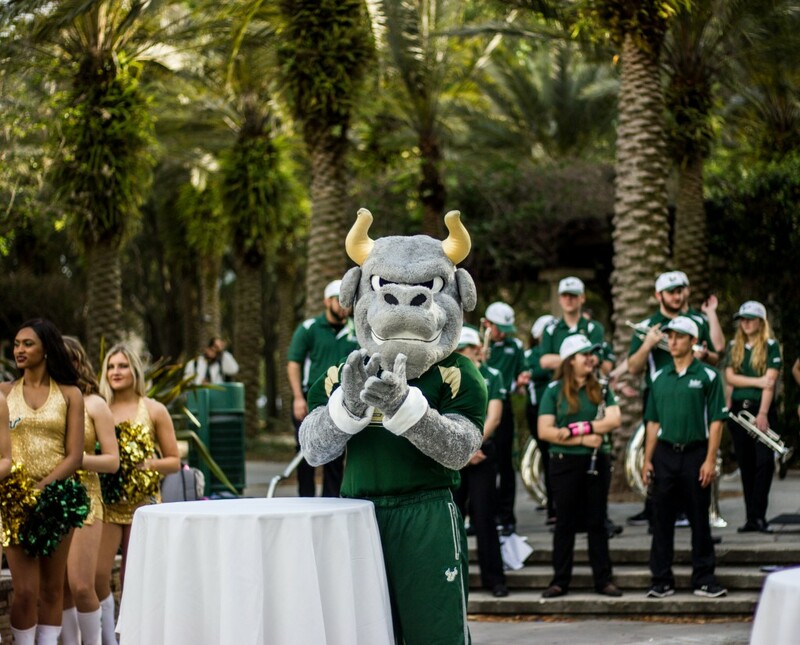 Rocky the Bull cheers on the speakers during the USF Week Kickoff as USF Sundolls and HOT band surround him. USF Week T-shirts were distributed to students attending the kickoff event. 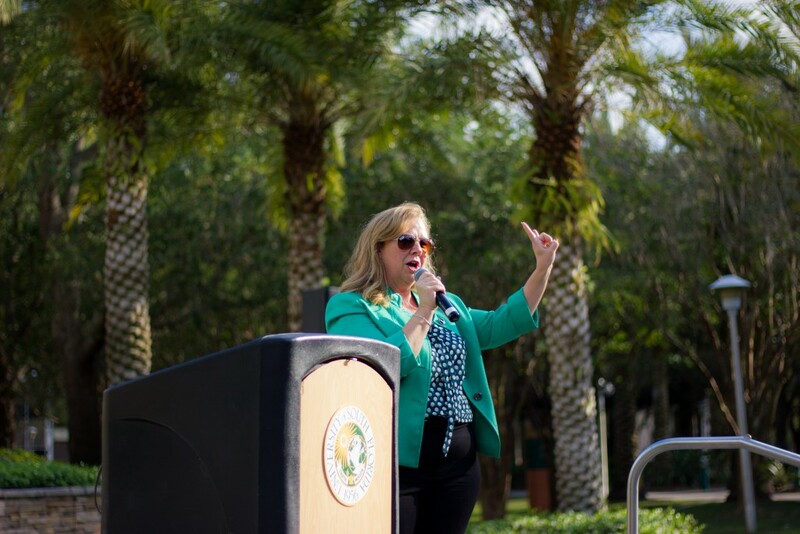 Dean of Students Danielle McDonald discusses events for the week that celebrate USF pride. 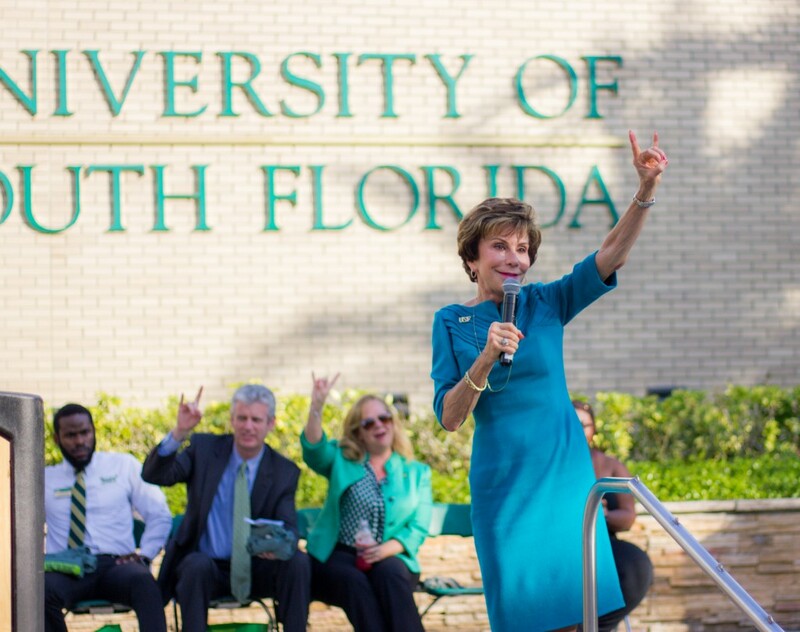 USF System President Judy Genshaft engages students while speaking of USF's success. Student Body President Moneer Kheireddine and Student Body Vice President Shaquille Kent address the students while speaking about the spirit of the university's tradtions.